Spice Up is hiring ! Find out our offers and apply directly on our website . A creative mind and a true & operational rigor! & A good stress management, humor, flexibility, availability and Olympic shape! 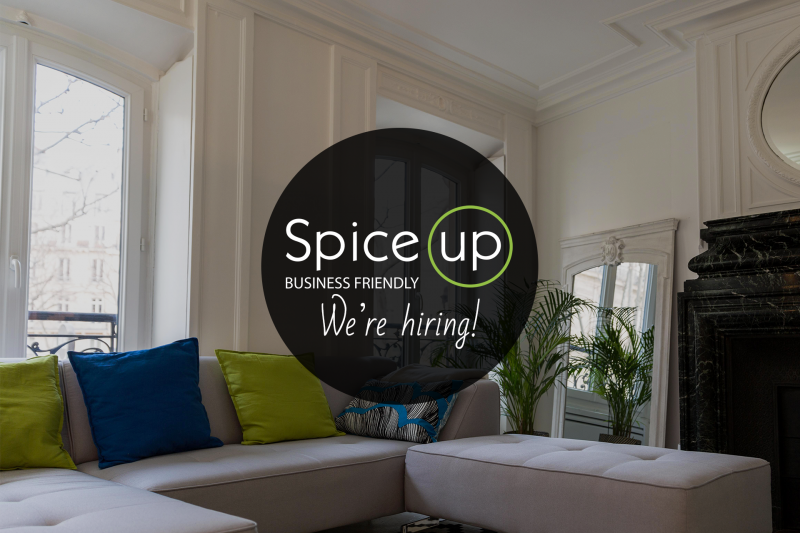 Contact : Please send your resume and cover letter to Florence: florence@spiceup.fr, specifying the venue (Paris or Antibes). Spice Up, an agency specialized in event marketing, organizes corporate and public events (congresses, seminars, conferences, launches, incentives) in France and abroad, for many French and international brands (luxury, cosmetics, pharmaceuticals…). The agency has two offices: one in Antibes and the other in Paris. Post: You will work within the communication department with the Communication Director/AD of the agency, in the offices of Paris. Declination of all the communication media of events (signage, layout of website, newsletter, print content…). If you hold a diploma in graphics / artistic direction and you are creative (of course), imaginative, passionate, dynamic, adaptable, versatile (especially); If you can write and you do not like spelling mistakes; If you know how to work in a team while being autonomous; If you already have a first professional experience and you want to integrate the stimulating environment of the event, this internship is for you! A good level in English will also be a plus. Basic compensation, which varies according to experience.